Windows 10 October update is the newest feature update to Windows 10, which is available for all the versions of Windows 10 starting October 2, 2018. The primary method of delivery for this upgrade is through Windows update, but as it has to be delivered to millions of PCs, it might take some time to reach your device. Nevertheless, Microsoft offers an option to update your system to the latest feature update manually. There are two methods for updating manually, which we would discuss in detail. This is the best method to update to Windows 10 October update. To use the first option, which automatically upgrades your system, choose to Upgrade this PC now. This is a more automated process and Windows should automatically upgrade your system. After some time and few restarts, you would be greeted with Windows 10 October 2018 update. This method would allow you to keep an Installation media for future purposes if you want to do a clean Install of Windows 10 October update. Following steps are what you need to do for the upgrade. 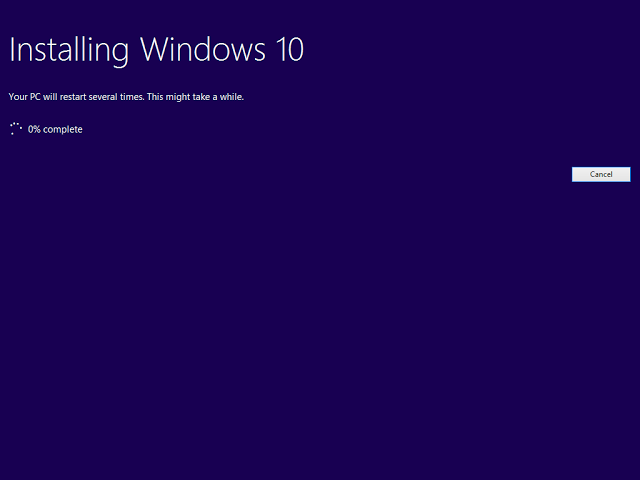 After some restarts, you would be greeted with Windows 10 October Update.